The Legend of Zelda: Link's Awakening is the fourth installment of the much-loved Legend of Zelda games. It was released for the Game Boy in 1993. After getting caught in the middle of a storm at sea, Link washes up on Koholint Island. He learns from an owl that in order to return home, he must travel across the island and collect the eight Instruments of the Sirens that will wake up the mysterious Wind Fish. Regarded as one of the finest examples of the top-down style of Zelda game, Link's Awakening boasts just as much adventure as you'd expect from the series. 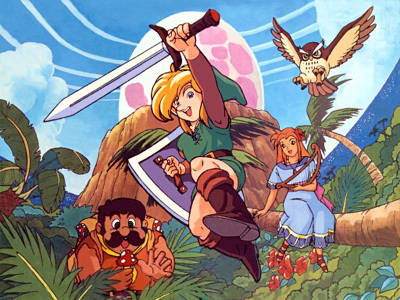 1999 gave us an enhanced version of the game called The Legend of Zelda: Link's Awakening DX. Playing this on a Game Boy Colour gives you colour graphics, Game Boy Printer compatability and a whole new dungeon to explore with a powerful item as a reward for beating it. The second game for N-E's Game Club is a bona-fide classic. You're free to play either the original or the DX version, whether it be on Game Boy or the 3DS Virtual Console. And maybe @Hero-of-Time will take more than a day to beat it... Maybe. For an extra challenge for those 3DS players, try finishing the game without ever dying or selecting "Save and Quit"
After playing it for a bit yesterday, I just love how interactive this world feels. Marin just starts singing (that is, changing the music) after you talk to her, and you just keep going. Spikes will be pushed if you raise the shield. Bow-wow just gets in your way when you pass by him. Very little in this game gets interrupted by immersion-breaking cutscenes, is my point. Only when the owl shows up, really. Just discovered my OG GBC has died, won't power up at all. It worked last time I checked (apart from the speaker). RIP good buddy. Don't think I'll play this right now, even though I have the game available right here (the original Gameboy cartridge). As I mentioned, I won't be playing this due to lack of time. Here's something I remember from my childhood: I started so many new game files just to replay the moment you get your sword over and over and over again. 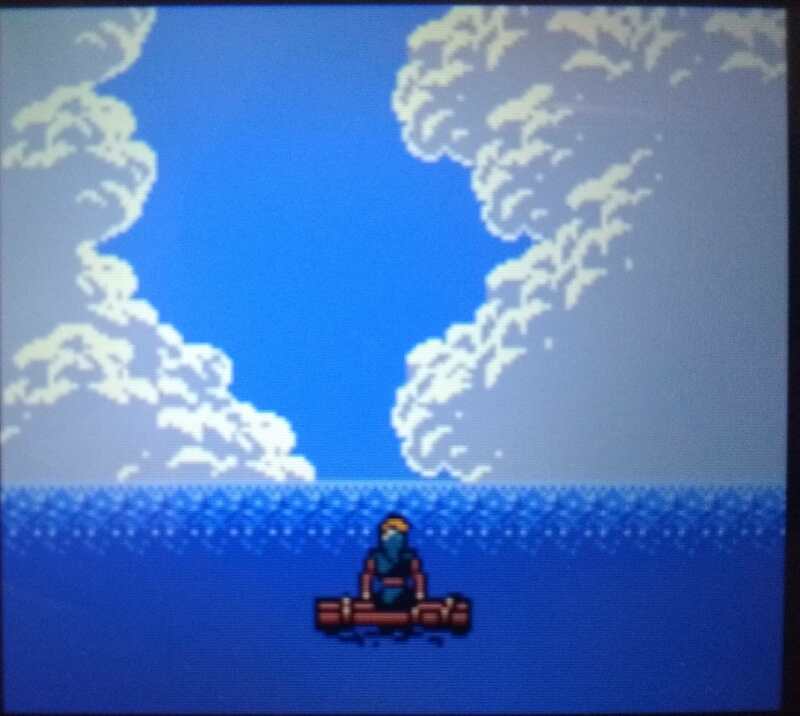 I loved picking up the sword, feeling like a hero and hearing the music change to the overworld theme. It's alive! I cleaned the battery contacts... still nothing. Plugged in my headphones to test if it was the screen just not working and it came back to life! Either the contacts have rusted and turning if off and on cleared it up or inserting the headphones did something. The buttons were unresponsive for a while but they started working after pressing down on them. As you can see it needs a bit of clean, probably inside and out so maybe that's a project for some day. The screen is darker than what I remember so I might just use my GBA SP or the 3DS version. Anyone know the best way to go about cleaning it? Started my play through of this last night and finished the second dungeon. Finished 6 (plus the colour one) dungeons now. 1 sitting, no deaths. Had a close call in the dream suite though. Why do those enemies take 3 hearts if they touch you? I was reminded of one of my favourite pieces of music from this game. That small, three room mini dungeon is a remarkably powerful moment. I always liked how after this moment, the future dungeon bosses start trying to talk you out of waking the Wind Fish. It's obvious why, but it does add a hint of consequence to the ultimate goal. Also, that Owl flat out lies to you straight after, saying the relief might not be right, it knows exactly what's up. Younger me got very suspicious of it after that. Of course I chose the Red Mail. Sending enemies barreling across the screen is very useful! Whatever happens to that Link anyway? He's kinda stuck there in the ocean now... People say the OoT Link is the one who gets screwed historically, but I'm not so sure. The ending is one of those bittersweet ones that are definitely the most memorable in the Zelda series. Why do you think people like Twilight Princess's ending so much? There's all sorts of unanswered questions. Did the Koholint Islanders even exist? Did they even feel anything? Is ignorance really bliss? Or is it just cruel? Most of it is left to your interpretation and those are some of my favourite kind of endings really. Marin's OK! She has to take part in Hyrule Warriors somehow. Yeah, I pulled off the "No death, no save" run. Very reasonable to do on a 3DS with suspend saves. (Not Restore Points, different thing entirely) You also get a thank you from the development team. Which is nice. 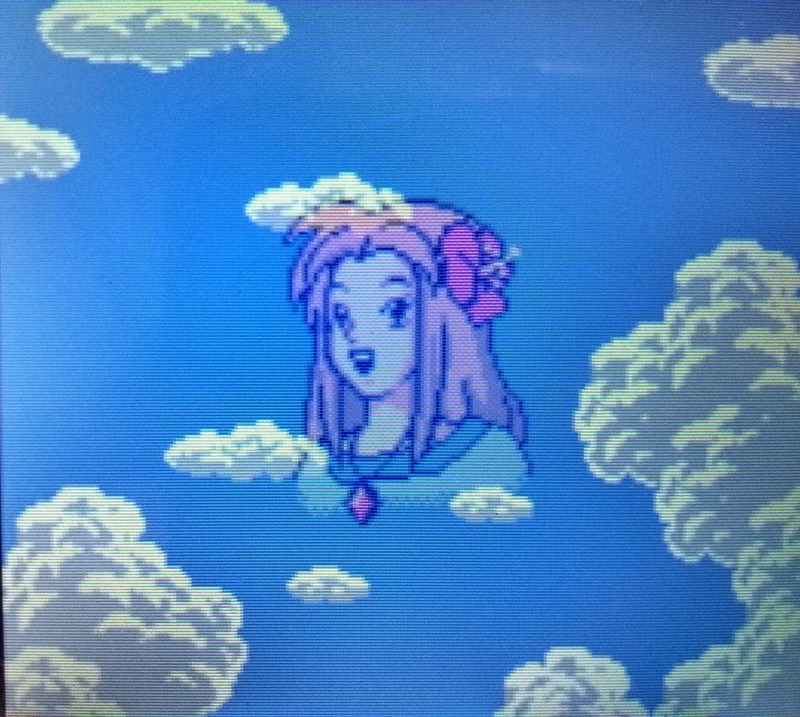 Link's Awakening still holds up well. It strikes just the right balance between modern day Zelda and too antiquated NES Zelda. Soundtrack is among the top Game Boy soundtracks and the colour visuals add some much needed vibrancy. Also, the Boomerang is OP. You can get the new item in the seventh dungeon immediately with it. Skipping one of the trickier puzzles of the game. Is it a requirement to beat the game in one sitting and no deaths to get the best ending? Yes. For some reason, saving and quitting counts as a death and adds 1 to your death count. Just like Zelda 1 and Link to the Past. Last Zelda game to do that. On the 3DS, it's very doable if you're careful. But on the Game Boy, it turns it into a strange sort of speed run challenge. Finish the game before the batteries give out. Here's an interesting tidbit, the best ending on DX is a bit different than the one on the original game. And no, the difference isn't the extra colour. Wow, did not know that, what a strange thing to implement. Aw, I died and hadn't saved for a while. No best ending for me then. Was this game chosen because of 'wake me up when September ends'? Are you sure about this? I've played through Link's Awakening many times (one of my all time favourites) and I don't remember saving adding to the death count. My mind is blurry though since it's been many years since I last completed this. Are you using Start+Select+A+B to save? Back when I was a kid, I didn't know you could save that way so when I wanted to stop playing I would kill myself by running into pits until I got a Game Over. Finished it today. Gonna post my full thoughts tomorrow. I definitely do not remember Marin's face in the sky like that. What I do remember is her becoming a seagull like she wanted (though I didn't do that in this playthrough, since I died 3 times like a scrub). Is that the difference you mean? The face in the sky is the main difference. There's also a short version of Ballad of the Wind Fish that plays. I'm not 100% on this one but I'm pretty sure only the DX version has a Thank you message from the development team as well. And @Zell. Definitely. The first 4 Zelda games count saving as dying, even you don't die before hand. Glen-i, are you talking about a hidden death counter? Because my save file still says 003 from the 3 times that I died (two of those times were against that bloody bottle genie). And I just saved normally throughout the thing. So, to speak more about the game: it's still wonderful. It plays sooo much better than Link to the Past, and manages to have so much more charm, too. I love how a lot of what happens in this game seems to exist as a result of the developers going "Sure, why not?" to every idea. Goombas and Kirbies? Sure. The Frog for Whom the Bell Tolls is just part of the main quest? Sure. The trading quest that seems optional is actually required at two points? Sure. Marin joins you everywhere and comments on every action you do? Sure. Flying Rooster as a mechanic that only exists during a small amount of time for a single obstacle and then never again? Just do it! Shopkeeper renames your save file and later kills you if you try to steal? Heck yeah. It also happens to sport my favourite story in the entire Zelda series. I believe this is the only game where you are actively seeking to save the realm... by destroying it. It's a legitimately sad development, and it leads to an ending that can never be anything but bittersweet. The manga fleshes out this plot point by outright stating Marin and the other islanders represent the side of the Wind Fish that wishes to wake up, and as such, will fully accept their fates when it eventually does. This helps Link cope with the truth, and ultimately feel more comfortable with the idea of waking the Wind Fish. 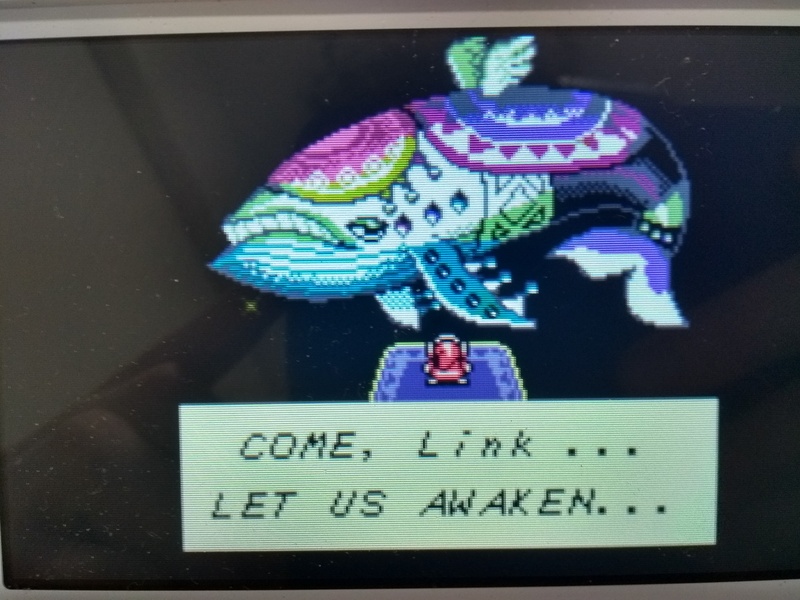 Myself, I prefer how vague it is in the game, and the moral ambiguity it provides: after all, if Link (the player) decides to wake up the Wind Fish exclusively to get off the island, is he any better than the Nightmares he keeps fighting? Is doing it for Marin any better? Link's Awakening successfully gives us a moral dilemma by tying the main point of a simple game to a morally complex question. The rest is up to the player to think about and discuss. There's a lot to be learned with that writing choice. Finally, the music is surprisingly memorable. Plenty of folk in this thread (including the sirs not-playing-in-this-month) have already posted some of the good stuff, so I'd like to do something different, and point you to a remix album (Threshold of a Dream) that aims to give the soundtrack a more "dream-like" quality. Some of it is relaxing, some of it is creepy, some of it is trippy. Give some tracks a listen. So I looked it up again and it turns out I was misinformed. You can save and still get the best ending. You still have to pull it off with no deaths though. How can this guy get away with such blatant acts of mass misinformation and heinous lies? Why isn't he banned yet? Because then who would run the MK League? Finished the game yesterday (with 1 death), Eagle Tower is greatly designed dungeon as mentioned. Not sure I got the wrecking ball to the last pillar the intended way, but it worked. I liked how the trading sequence wasn't just a side quest but integrated into the story. 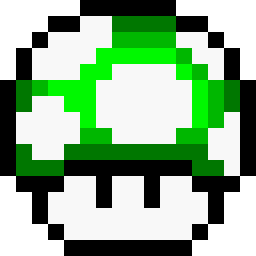 The randomness of having 2D scrolling segments like a Mario, as well as cameos/references from other series for various things. The moral dilemma of waking the Wind Fish, the fact the Owl pushes you do so but then starts dropping hints the Island may or may not vanish as a result. Not gonna lie, a tear may have been shed when I first beat the game all those years ago. It still hits in the feels even today though. I hated how to complete the album you had to steal from the shop, which also means everyone calls you Thief. Alo the Fire Rod is only required for... 6 (?) screens, it's not needed in the overworld at all. Finally, someone calls out Link for going through other people's stuff! My favourite scene (as well as the hidden one on the cliffside), the version of Ballad of the Wind is also great, I would just sit on this screen to ages listening to it).